Death notice: "Zetha Culpepper, 100, died Saturday, June 16, 2007, in Carthage. (Jordan, 662-289-5521). Published 17 Jun 2007." Ruba H. Culpeper, Daughter, F, Wh, 1 6/12, sng, MS/MS/MS. + Homer Culpepper, 3 Dec 1898 - 7 Dec 1978. E-mail written 1998 to Lew Griffin from James Miller. E-mail written 2001 - 2008 to Culpepper Connections from Betty Culpepper Henson (#40959), 703 Miles, Hereford, TX 79045, e-mail address. E-mail written 2001-2011 to Culpepper Connections from Sharon Kern, Phoenix, AZ, e-mail address. 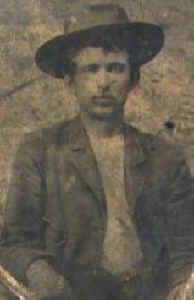 James Albert Culpepper, 30, RFD 3, Tolbert, Wilbarger Co., Texas. Born 17 Mar 1887 in Campbell, Texas. Farmer at Tolbert, Wilbarger Co., Texas. Married, 5 children; Caucasian; No prior military service; Claims no exemption from service; Tall height, Slender build, blue eyes, brown hair, not bald, no disabilities. Registered 5 Jun 1917 in Wilbarger Co., TX. Carl Culpepper, 21, RFD 3, Tolbert, Wilbarger Co., Texas. Born 31 Oct 1895 in Savoy, Texas. Farmer at 7 S.W., Tolbert, Wilbarger Co., Texas. Married, no children; Caucasian; No prior military service; Claims no exemption from service; Tall height, Medium build, blue eyes, light hair, not bald, no disabilities. Registered 5 Jun 1917 in Wilbarger Co., TX. Ora Culpepper, Dau, F, Dec-1899, 5/12, S, Ind-Terr TN KY. Jewel Culpepper, Daughter, F, 1/12, S, TX TN TN. Texas General Land Office, compiler, Texas Land Title Abstracts: Abstracts of all original Texas Land Titles comprising Grants and Locations, Online database at Ancestry.com, 2000. Molossie Culpepper, Wilbarger Co., Feb 10 1918, 10008. James Albert Culpepper, Wilbarger Co., Aug 14 1918, 31597. Inland Valley Daily Bulletin, Ontario, CA. Archie G. Culpepper obituary, 31 Jul 2004.
courtesy of Sharon Kern, granddaughter of Zelma Culpepper Kuykendall. Leatha E. Venable, G-Dau, F, 1 1/12, S, TX TX TX. J. 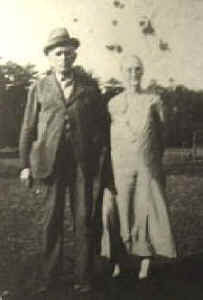 A. Culpepper, Deaf Smith Co., Oct 26 1929, 49407. Evaline Venerable, Granddaughter, F, Wh, 11, sng, TX/TX/TX. James Houston Culpepper, Wilbarger Co., Nov 19 1940, 53077. Adolphus Culpepper, M, 31, Bro, S, TN TN TN, Brick Mason. Aubrey Russell Culpepper, Ravenna (Fannin Co.), TX, age 24, born 25 Sep 1892 in Ravenna, Texas, Carpenter for J. F. Hall at Hall Farm, No dependents, Single, Caucasian, Medium height, Slender build, Blue eyes, Brown hair, Not bald, No disabilities. Registered 5 Jun 1917 at Fannin Co., Texas. Earl S. Culpepper, 31 Mar 1895 – 30 Jan 1955, Veteran of WW-I. Cleve Culpepper, Son, M, Mar-1898, 2, S, TX TN MO. Goldie Culpepper, Daughter, F, 23, S, TX TN MO, Teacher-Rural Sch. Fulton Culpepper, Son, M, 9, S, TX MO MO. Hattie Davis Culpepper, 8 Aug 1863 – 14 Jan 1933. Cleve Hope Culpepper, Ravenna (Fannin Co.), Texas, age 20, born ___, Caucasian, Carpenter, Nearest relative: Hattie Culpepper, Ravenna, Texas, Medium height, Medium build, Blue eyes, Dark Brown hair, No disabilities. Registered 12 Sep 1918 at Bonham, Fannin Co., Texas. Fulton Culpepper, Son, M, 19, S, TX TN MO, Clerk-Lumberyard. Fanny Culpepper, Dau, 40, S, TX TN MO, Teacher-Pub School. 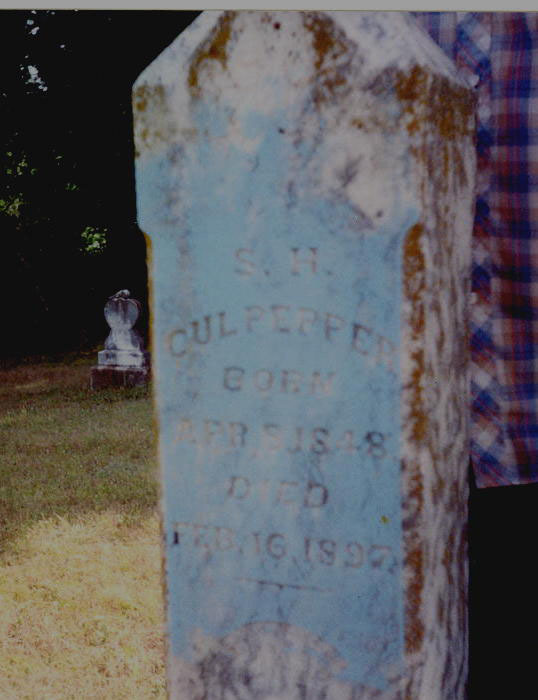 Hattie Culpepper, died 14 Jan 1933 in Fannin Co., TX, 2150. Goldie Culpepper, died 22 May 1949 in Fannin Co., TX. E-mail written Aug 2010 to Warren Culpepper from Dora Ann Baldwin e-mail, e-mail address. Goldie Culpepper, 1887 – 1949. Fannie Culpepper, Boarder, F 20, S, TX TN MO, Teacher-PubSch. Fannie Culpepper, Female, died 7 Dec 1983 in Taylor Co., TX. Fannie Culpepper, 1889 – 1983. Johnnie Culpepper, Wife, F, 30, M, md @ 24, TX TX TX, Bkpr. Dept Store. Aubrey R Culpepper, Male, Single, died 19 Nov 1968 in Dallas Co., TX. Earl Stephen Culpepper, Ravenna (Fannin Co.), TX, age 22, born 31 Mar 1895 in Ravenna, Texas, Laborer/Gin Man for Ravenna Gin Co., Ravenna, Texas, Mother is a dependent, Single, Caucasian, Tall height, Medium build, Blue eyes, Light hair, Not bald, No disabilities. Registered 5 Jun 1917 at Fannin Co., Texas. Earl Stephen Culpepper, died 30 Jan 1955 in McLennan Co., TX. Cleve Hope Culpepper, 83, a resident of Abilene for three years, died Friday at 7 p.m. at West Texas Medical Center. Services will be at 11:30 a.m. Monday at Restland Memorial Park in Dallas. Tom Gaumer, minister of Preston Road Church of Christ, and Adair P. Chapman of Crossroads Evangelism will officiate. Abilene arrangements will be handled by Elliott-Hamil Funeral Home. Born March 13, 1898, in Ravenna, he married Miss Willard Grant in Dallas, June 2, 1934. As a young man, he worked as a carpenter and a business agent for Carpenters Local 198 in Dallas. Before moving to Abilene, he had retired after 27 years with the U.S. Department of Labor, serving as state supervisor for the Bureau of Apprenticeship. He was active in the Church of Christ in Dallas, serving for many years as an elder. In Abilene, he was a member of the University Church of Christ. His survivors, all of Abilene, include his wife; two daughters, Harriet Culpepper and Nancy Hall; three grandchildren, Larry and Hary Hill and Kathy Wilson; a greatgrandchild, Sabrina Wilson; and a sister, Fannie Culpepper. Cleve Hope Culpepper, Male, died 4 Sep 1981 in Taylor Co., TX. Harriet Hope Culpepper, Female, born __ 1935 in Dallas Co., Texas, child of Cleve Hope Culpepper and Willard Grant. Nancy Dell Culpepper, Female, born __ 1936 in Dallas Co., Texas, child of Cleve Hope Culpepper and Willard Grant. 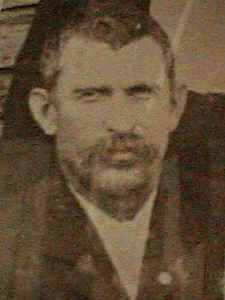 A. D. Culpepper, 1870 – 1899. 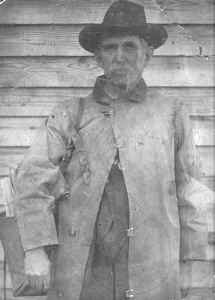 William Newton Culpepper, 43, of Pattonville, Lamar Co., Texas, born 3 Apr 1875, Caucasian, Farmer. Nearest Relative: Linnie Culpepper of Pattonville, Lamar, Texas. Medium height and build, gray eyes, light hair, weak eyes. Registered 12 Sep 1918 at Paris, Lamar Co., Texas. Elma Culpepper, 11 Apr 1885 - 11 Oct 1941. From obituary for Victor C. Culpepper. S. H. Culpepper, 13 Nov 1893 - 25 Sep 1927, Book 27, Page 85. FHL Film 1255268, National Archives Film T9-1268, District 17, Page 438C. 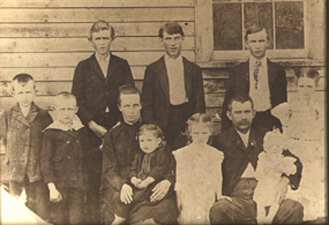 Front row(Left to right): Edgar Denton, Pete Turney, Onie Basinger Culpepper, Eunice Viola, Maude Bryan, John Franklin Culpepper, Leslie Slack and Ollie Grace. 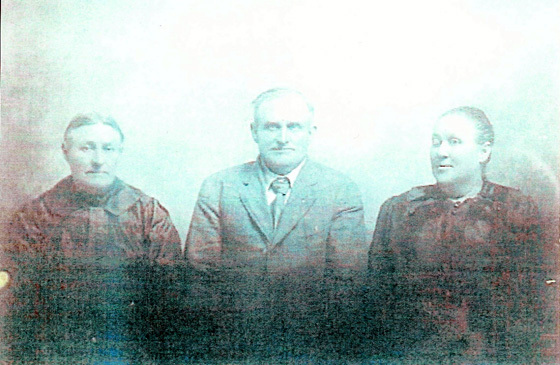 Back row (Left to right): Three sons of Elizabeth Davis - Dolph, Dora, and Malcolm. The last is Ollie Grace. FHL Film 1255275, National Archives Film T9-1275, District 1, Page 4B. E-mail written 1999 to Lew Griffin from Dennis E. Morgan (son of Catherine Culpepper). Biography* � Ann E. is from the census, but some researchers list her as "Elizia Elizabeth." Her tombstone reads "Eliza." Find A Grave Memorial# 10122563. Joe F Culpepper, White, Married, born 1917 in Tennessee, residing in Tennessee, enlisted as a Private in the US Army on 19 Jul 1941 in Fort Oglethorpe, Georgia. ED 58, sheet 17, line 16.